Shop online for clothes hangers in small packs starting at just 10. Save money, cut out the wholesaler and buy direct from the factory at low prices only at hangers.ie! Buy clothes hangers in small packs of 10, 50 or 100. Need more? No problem! Simply order box quantities. Ordering is simple, fast and secure and we deliver across Ireland and the UK. Pay in either Euro or Sterling. Simply select your preferred currency on ordering. 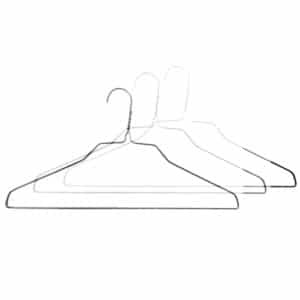 Save money, shop online and buy direct from the clothes hangers manufacturer. We make high quality hangers at low prices in our own factory in Co. Louth, Ireland. As a result, cut out the wholesaler and get the best deals on our huge range! After all why pay more to a wholesaler? 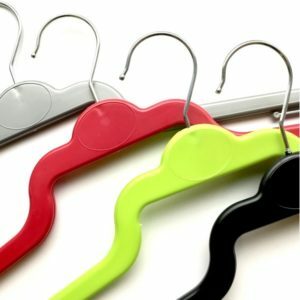 Shop online and get our high quality plastic clothes hangers at the lowest prices. Due to buying direct from the manufacturer you get the best deals on our huge range. Also, ordering is simple because of our super fast and very secure checkout. Shop online also for our top quality wooden hangers. 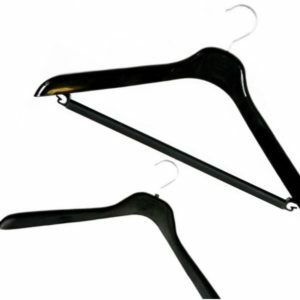 Choose from our wide range including wooden clothes hangers for jackets, trousers and hotels. Perfect for hanging garments because of their natural wooden finish and stylish design. Choose wire clothes hangers as a low cost option for hanging garments. Also, used by many dry cleaners and laundries. Order small packs starting at just 10! Choose from gold (bronze), silver and white. Also hang dresses, skirts and ladies tops by slipping garment loops over shoulder notches. Choose notched wire hangers in either gold (bronze), silver and white. In addition buy thinner, space saving wire shirt hangers to hang shirts and blouses in your wardrobe. 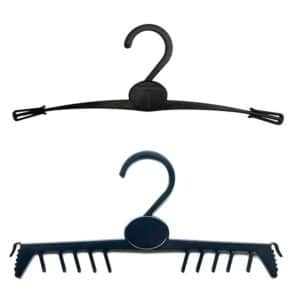 Choose between 38, 42, 43.5 and 46 cm wide plastic jacket hangers. Also, choose between colours including black, blue, green, red and yellow. 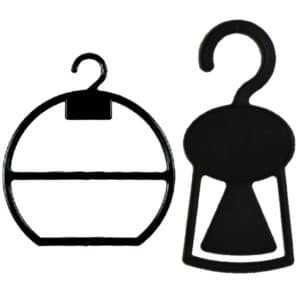 Hang suits using our 42cm wide jacket hanger with bar or our best selling Dormer Hanger. 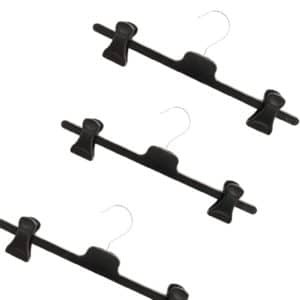 Use this multi-purpose hanger to also hang dresses and skirts using the lower shoulder hooks. 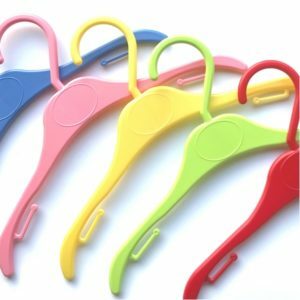 Keep children’s rooms tidy with our lovely kids clothes hangers, made in a range of fun bright colours. Choose from our wide range including for baby outfits, kids tops and also kids trousers and skirts. We have a wide range of beautiful colours including blue, pink, green, red and yellow. Also, buy our small packs starting at just 10 at the lowest prices now! Buy beautiful lingerie hangers at the best prices. Choose from our wide range to hang bras, lingerie, nightwear, swimwear and underwear. Also, choice of lovely colours including black, clear and pink. Choose from our wide range of tops clothes hangers including for ladies tops, blouses, shirts and knitwear. Extra wide and designed to keep jumpers in perfect shape. Select from a wide range of colours including black, green, red, silver and yellow. Hang also dresses on our LU3 and D41. Just slip dress loops over the shoulder slits to hang dresses. 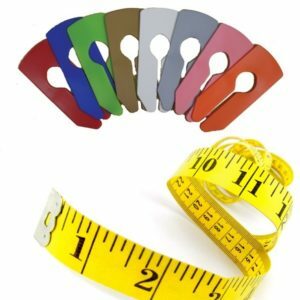 Choose 34cm or 38cm wide clip hangers. As a result of the soft rubber surface, the strong clips do not mark fabrics. Hang both trousers and skirts using the adjustable clips. Purchase our 38cm wide S38 to hang trousers and skirts with elasticated waists. Hang extra wide garments using our KEY range available in 42cm, 52cm and 64cm. In addition, get accessory hangers to hang scarfs, shoes and ties straight from our factory. 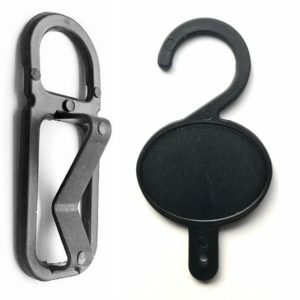 We also sell display hooks and display hangers for retail display including 1 inch hanger connectors. Also order our retail supplies including rail dividers, shirt clips, garment rails and size markers. Get fast delivery across Ireland and UK because we keep large stocks in our factory. Delivery is usually just 1 to 5 working days. Another great reason to buy direct from the factory! 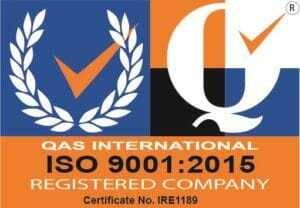 We also take your data protection, privacy and security very seriously. We comply with the latest applicable Irish and EU legislation and use the latest security technology to protect your data. To find out more about how your data is secured please read our Cookies and Privacy Policies. Need help choosing the right product to buy? No problem simply call and speak to one of our experts Monday to Friday (except bank holidays) between 8am and 5pm. Our experts have years of experience and will help you choose the right product to hang your garments. Register an account with us to make reordering simple. Store your invoicing and shipping details and as a result reordering is so quick and easy! Ordering is simple. Pay by credit card, bank transfer, PayPal or use our super fast and secure PayPal Express Checkout.